Abstract. The first operative neural network, the Perceptron conceived by Frank Rosenblatt in 1957 at Cornell Aeronautical Laboratory, was designed for pattern recognition of simple shapes such as letters, yet with the ambition to automate recognition of radar signals and voice messages. The paper illustrates the relation between neural networks and feedback loops in cybernetics, showing how neural networks basically apply a control feedback loop to each node of decision and computation of their structure. Neural networks theoretically describe a matrix of control of infinitesimal resolution (that is ‘intelligent’) compared to the cybernetic apparatuses of the same age. Nonetheless, due to the so-called ‘winter of Artificial Intelligence’ and scepticism around their performance, the neural network paradigm would rise only in the late 1980s. The practices of remote intervention as ways of operating „from a distance“, such as the transmission of commands in robotics. The infrastructures of remote intervention as ways of defining the possibilities of action, such as user interfaces, databases or control terminals. 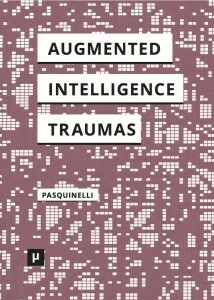 The politics of remote intervention as a transformation of the relation between humans and machines, such as the distribution of responsibility in remote warfare. You are currently reading Humboldt Berlin, 30 Jun. Remote Control conference at Matteo Pasquinelli.